This book is a study in depth of the rise to power of Macedonia under the astute leadership of Philip II, whose diplomatic adroitness and military skill paved the way for the career of his son and heir, Alexander the Great. 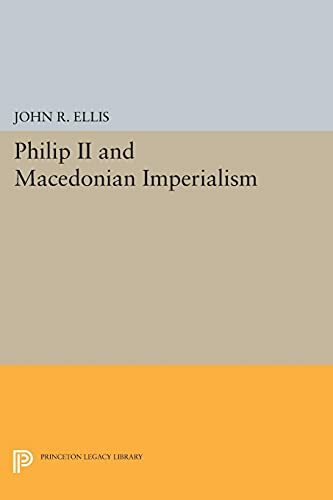 J. R. Ellis has attempted to arrive at an impartial assessment of the process by which Philip brought Macedonia from the periphery to the hub of Balkan and Aegean affairs. Originally published in 1986. The Princeton Legacy Library uses the latest print-on-demand technology to again make available previously out-of-print books from the distinguished backlist of Princeton University Press. These editions preserve the original texts of these important books while presenting them in durable paperback and hardcover editions. The goal of the Princeton Legacy Library is to vastly increase access to the rich scholarly heritage found in the thousands of books published by Princeton University Press since its founding in 1905.